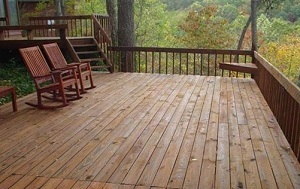 Professional deck and wood maintenance is very important ans it helps to keep your wood decks, patios, docks and other outside woodren structures looking clean and new. Everyone has seen what happens when wood is left unprotected and un cared for in the out side elements. It quickly becomes gray and starts to fall apart cause in to look poorly. Our trained professionals have the years of experience and the professional grade tools to handly any wood maintence needs Wether it be for a log home a deck or a dock we have the solutions that you are looking for. So if you need one of our service professionals to assist you with a wood maintenance need then give us a cal ltoday and see what we can do for you! If you're looking for a professional deck cleaning contractor in Elizabeth City, then give us a call 252-266-9457 or complete our online request form.